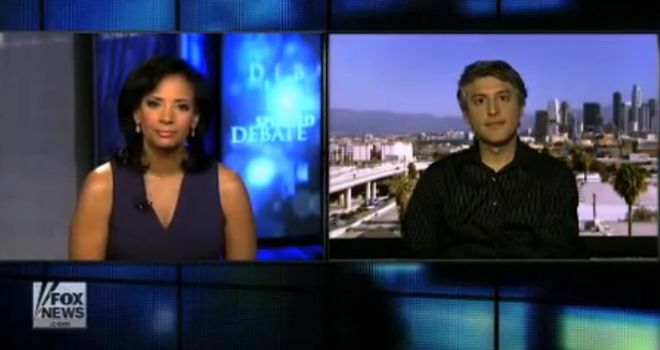 Is Muslim Academic Reza Aslan More Biased Than a Christian Scholar? The video speaks for itself, but a few thoughts follow below. Can Muslims write about Christianity? 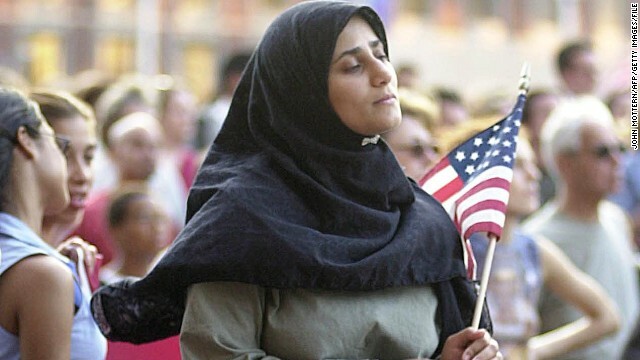 American public discourse about Islam is filled with essentialist paranoia, fear, and the commentary of people who not only don’t know much about the topic but are often dismissive of people who do. But the reception that scholar Reza Aslan received on Fox last Friday was a new twist: Muslim views of Christianity are inherently suspect, it seems. Mr Aslan, who has a PhD in the sociology of religion from UCSB and a masters in theological studies from Harvard, is promoting his new book “Zealot: The Life and Times of Jesus of Nazareth” and was on with Fox religion correspondent Lauren Green to talk about it. He was born in Iran, his family fled the Islamic Revolution there in 1979, and he grew up in the US where he converted to Christianity as a teen and later converted back to the faith he was raised in. Fox has been filled with Christian and Jewish commentators explaining Islam to their audience over the years. Daniel Pipes has been one of them. As has Ayaan Hirsi Ali, a former Muslim who became an atheist and who describes Islam as fundamentally violent and has written books attacking the faith. As have Pamela Geller and Robert Spencer, who both describe Islam as ‘inherently violent’. In the past, it’s even had conspiracy theorist Glenn Beck gives long expositions of the essence of Islamic law as he sees it. At a large and vivid party in a Muslim home in the Chicago suburbs a couple of months ago, several dozen couples sat talking after dinner at a long table. Glancing around the room at 30 or more Muslims, I saw professors, doctors, business executives, teachers, housewives, therapists, factory owners, and computer engineers. Some had been born in Egypt, others in Lebanon, Palestine, Pakistan and India. Most emigrated in the 1950s. They were 40-year Americans, part of a global, centuries-old diaspora. The men wore business suits, the women dresses; their children sported baseball caps and Nikes, and everyone spoke English. The longer I gazed, the more clearly it struck me that the guest list at my table was simply another expression of American Islam crossing into the new millennium. Then the table talk fell off and I glanced up. Down a long hall, into the large room came a young, sandaled Arab wearing a prayer cap and white flowing robes. Our host introduced him as a Meccan, a young man from the heartland of Islam, whose livelihood lay in reciting the Qur’an. At his side stood a robed, bearded elder from a local mosque–its imam, in fact, a religious scholar, a man of respect, and a longtime Chicago resident by way of Cairo. The two men settled into the only vacant spots at the table–two chairs across from mine. Ramadan isn’t just a time for spiritual growth among Muslims. According to local spiritual leaders, it’s also a time for Islam to create an open dialogue with the community. On Thursday night, volunteers at the Raindrop Turkish House in Bryan opened their doors to Muslims, Christians, Jews and any other members of the community. 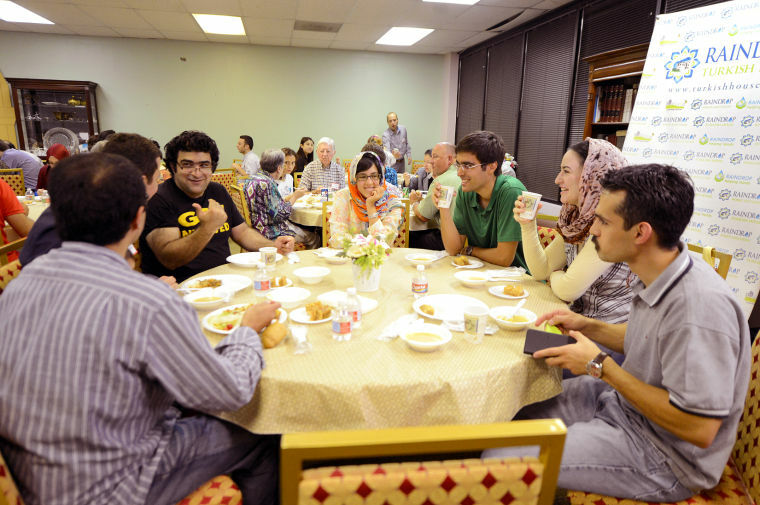 About 30 people attended this year’s first open house of Ramadan. During the event, attendees learned about the Turkish art of paper marbling, what it means to celebrate the holy month and shared an authentic Turkish meal. “We invite each person. We do not separate anyone,” said Namik Top, a volunteer imam for the center and graduate student at Texas A&M. Ramadan is the ninth month in the Islamic calendar and is celebrated at different times each year. Mehmet Oren, one of the organizer’s of Thursday’s event in Bryan, said he remembers being a child and celebrating the holy month during winter. With Ramadan being in the summer, the call to fast during the daylight hours becomes more difficult since the sun is up longer. Despite some popular images of Muslim women as repressed and oppressed, many women today are actively affirming the rights and responsibilities that they believe the Qur’an affords to them. The Holy Book affirms that men and women are created from one soul to be partners to each other, that males and females have the same religious responsibilities, and that both genders will receive like rewards on the day of judgment. In only a few instances are circumstances for men and women notably different in the Qur’an, and these verses are being seriously studied and interpreted by both women and men today. Passages that seem to affirm male authority over women are based on the Islamic understanding that men are responsible for the financial support of women. Some Muslims argue that they should be reinterpreted in cases where women are now the financial providers. While the Qur’an allows a Muslim man to take up to four wives, it also insists on equal treatment for all. Some Muslim women are ensuring monogamousmarriage by making it part of the marriage contract, and polygamy is forbidden in states where it is against the law. Traditions that have circumscribed the full participation of women in society are being scrutinized and challenged as antithetical to the practices of Prophet Muhammad. Wives of the Prophet, known as the “mothers of the faithful,” serve as models for those Muslim women who want to legitimize female activity in all ranges of society. Historians differ in their explanation of why the freedoms available to the earliest Muslim women were soon denied to most of their successors. In many areas of the world through which Islam spread, and for much of its history, a general patriarchy prevailed. Although it is still the norm in many Islamic countries, in recent years there has been a great deal of discussion about the necessity of reclaiming women’s participation in the public realm. CAIRO – The evening Egypt’s army ousted Islamist President Mohamed Morsi, Christian lawyer Peter Naggar celebrated on Tahrir Square with even greater joy than when autocrat Hosni Mubarak fell from power two years ago. 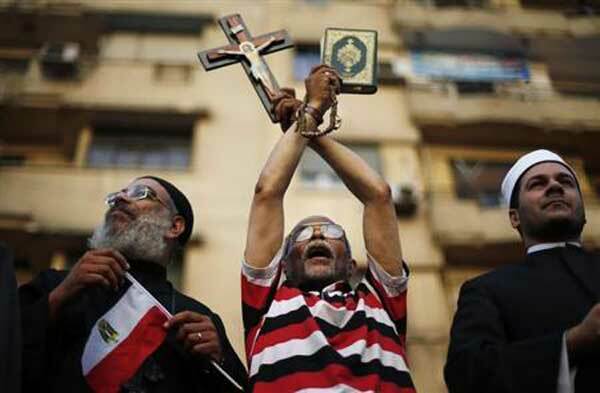 Naggar remains deeply relieved that a year of Islamist rule ended a fortnight ago and yet, as the initial excitement fades, many members of his ancient Christian minority fear Morsi’s Muslim Brotherhood will not give up power so easily. Neither is the Coptic Christian community under any illusion that the army’s installation of an interim government devoid of Islamists spells the end to its long-standing grievances, such as difficulties in getting state jobs, equality before the law and securing permits to build churches. Communal tensions and attacks on Christians and churches rose sharply under Morsi, Egypt’s first freely-elected president. Many Copts, who make up about a tenth of Egypt’s 84 million people, left the country where their ancestors settled in the earliest years of Christianity – several centuries before the arrival of Islam. 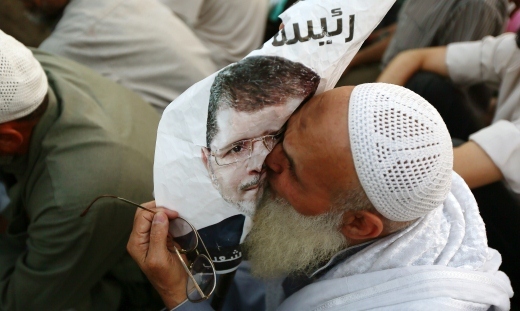 Islamists are staging a vigil at a Cairo mosque and regular protests to demand Mursi’s reinstatement, and it is dawning on Christians that they could yet return to power when elections are held under a military plan to restore democracy. Some might even resort to force, they fear. Islamists have killed at least five Copts since Morsi’s overthrow, according to the Egyptian Initiative for Personal Rights, a rights group. “It’s an improvement that Morsi is gone but I am still not entirely relaxed,” said Roman Gouda, visiting with a friend the Egypt’s biggest Cathedral in the Cairo district of Abbasiya. Christian and Muslim Egyptians gathered together in Tahrir Square last week to celebrate the first Friday of the Muslim holy month of Ramadan. The location was used by opponents of former Egyptian President Mohammed Morsi for demonstrations against him. He was thrown out of office back on July 3 by the army after a series of mass protests and public outcry. This place was also vital during the removal of President Hosni Mubarak in 2011. The square was flooded by people of both faiths on a day where Muslim supporters of Morsi had been holding large demonstrations in public squares located in several other cities. An Imam preached a sermon in the Square on Friday that encouraged unity among the citizens of Egypt. “This iftar (fast-breaking meal) is a national unity meal, in order for us to say that Egyptians, Muslims and Christians, make up one square and one nation. And this is an iftar to honor the blood of the martyrs and we are demanding justice for them on this Friday,” said Mohammed Abdullah Nasser.